How often do you scroll through Pinterest, finding gorgeous photos of food that you want to make someday….but those recipes end up remaining “stuck” on Pinterest, never to make an appearance in your kitchen? I have so many recipes that I want to make, thanks to Pinterest, but I tend to stick with a lot of the old favorites that I’ve been making for ages. I’ve committed to trying more of the recipes I find on Pinterest – and of course, when I find a new recipe that my family loves, I love to share it here! 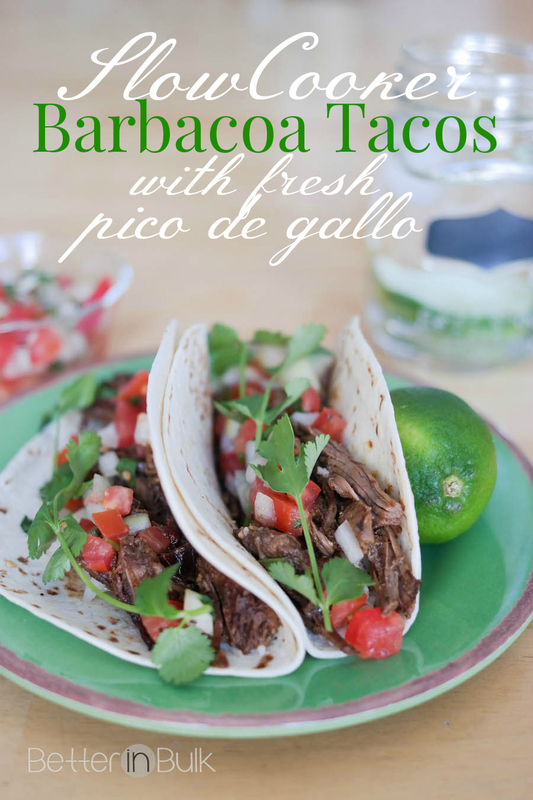 I hesitated to feature this particular pin for Barbacoa for this month’s #PinterestRemakes simply because the original author, Gimme Some Oven, is one of my most-admired food bloggers. Her images are gorgeous and, frankly, her recipe did not need any improvement. But, as luck would have it (you can call it good luck or bad luck, depending on how you look at it), I was missing a few of the key ingredients for her recipe, but had enough of them to justify making it anyway. The first ingredient that we were missing was chipotles in adobo sauce. But….I had a jar of adobo sauce in the fridge AND some dried chipotles in my cupboard. I figured that the dried chipotles would soften up during the 6-8 hours of slow cooking. I wasn’t missing the can of chopped green chiles, but I had some frozen, chopped hatch chiles and love to use them whenever I can. Hatch chiles are hard to find fresh (they have a short “in-season” time) but I almost always have some on hand in the freezer. And the third “change” that I made to the recipe was to add the pico de gallo, which is one of my favorite things to add to a shredded meat taco. Pico de gallo is such a fresh taste, and it always enhances the flavors of meat for me. The tacos were a hit with the entire family and we’re definitely making it again! 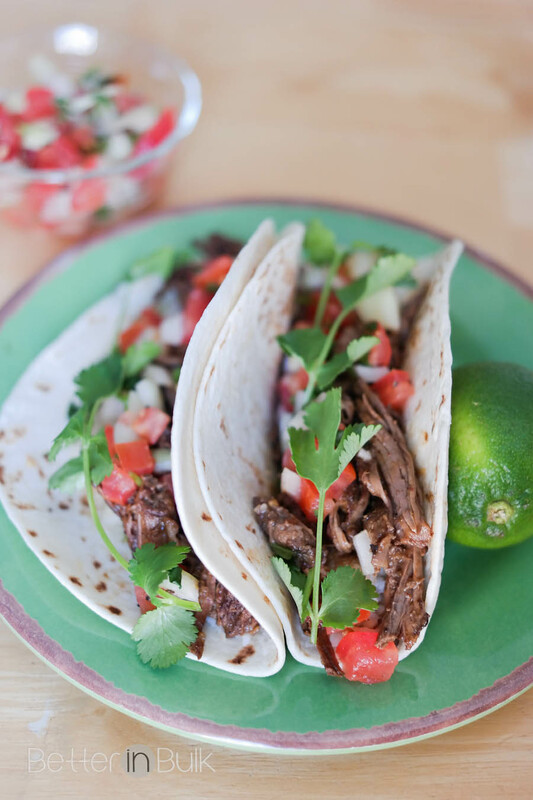 The flavors in this slow-cooked barbacoa combine perfectly with the cool, fresh taste of homemade pico de gallo. 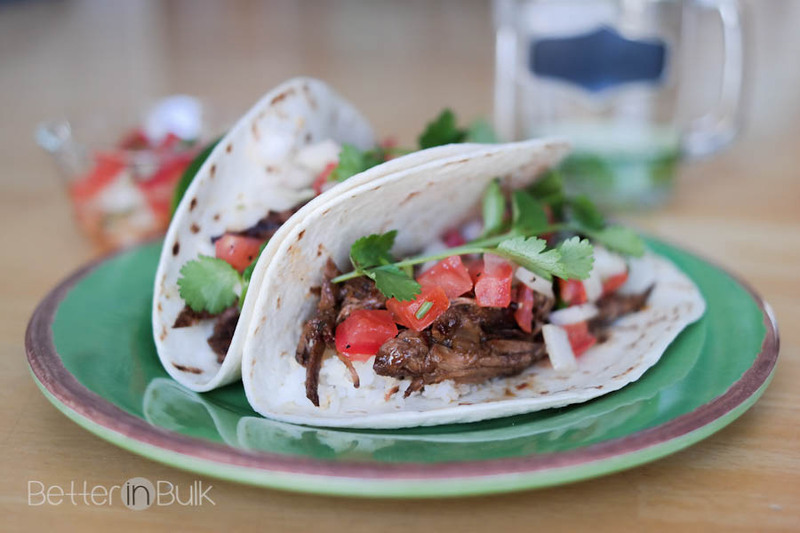 Combine all barbacoa ingredients (chuck roast through beef broth) in slow cooker and toss lightly. Cover and cook on low for 6-8 hours or high 3-4 (I highly recommend planning ahead and cooking on low - the results are worth it!). While barbacoa is cooking, prepare the pico de gallo by adding chopped tomatoes, onion, cilantro, garlic, lime, salt and pepper in a medium mixing bowl. Toss gently and refrigerate, covered, til ready to serve. I recommend preparing the pico at the beginning of the barbacoa cooking time to allow the flavors to combine. When meat is finished cooking, shred with 2 forks (mine was so tender that I this step was very easy). Remove bay leaves and discard. Return shredded beef to crock pot with juices and turn heat to high for about 10-15 minutes. 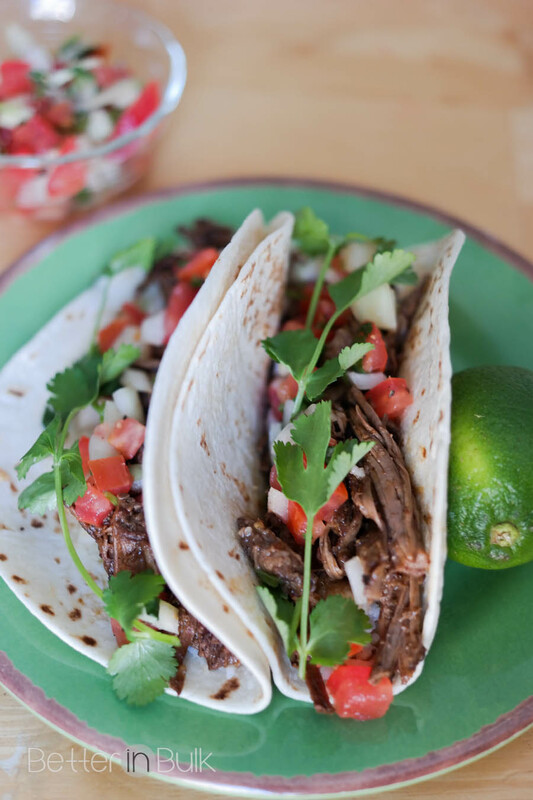 Serve barbacoa in a soft tortilla shell with hot rice, pico de gallo, and any other toppings that suit your taste: cilantro, sour cream, guacamole, etc. These look amazingly good. I love Tacos/Mexican food. I have made something similar but this looks like it would have a lot of flavor, plus I love that this is a crockpot recipe. Thanks for sharing at the #HomeMattersParty – We hope to see you again next week! Oh my gosh those look divine! I love making things in the slow cooker and can’t wait to make these. Those look so good. Anything that has fresh cilantro in it is a winner in my book. This looks so good. I could go for some right now! Yum yum! You had me at tacos!!! This sounds delicious! This looks so delicious! I’m always looking to try new flavors and recipes in my slow cooker. This one looks like it would be an instant hit here too. Love that you added on fresh pico! Yum! That sounds absolutely amazing. I feel the need for tacos!